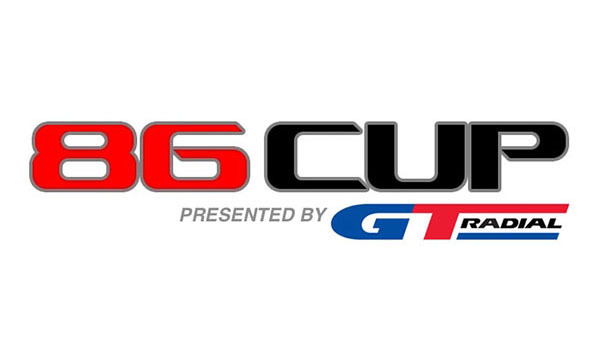 86CUP is the premier, independently organized, FRS/BRZ Time Trial series in North America. Utilizing a ruleset that is specific to the platforms, the 86CUP aims to provide a friendly, safe, environment in which 86 enthusiasts can hone their driving skills. Come join us at our events, get a ride, and experience the true capabilities of our platform in its natural environment! 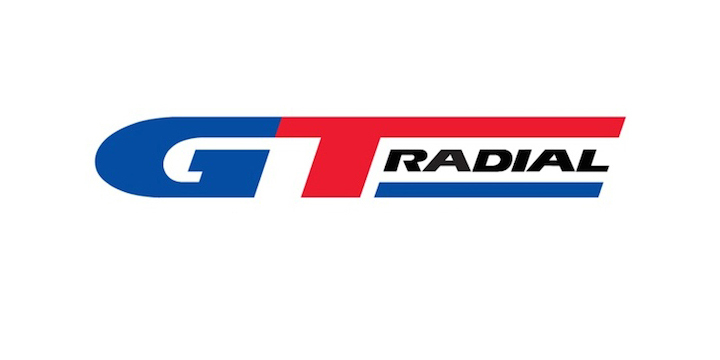 For 2017, we'd like to welcome GT-Radial as the title sponsor for the NorCal 86CUP! GT Radial has been a sponsor for us since the beginning, but this year, they're upping the ante and generously giving away cash prizes for the podium winners of the Stock and Street classes in addition to the tire Contingency program. See below for details! 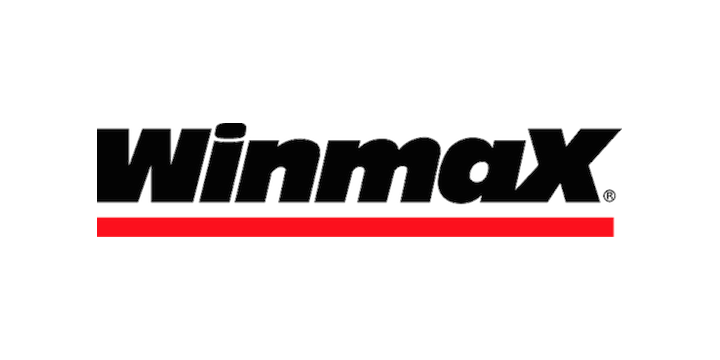 Returning this year to continue supporting our series are Winmax, CounterSpace Garage, Elite Performance, and 86drive. Each have been instrumental in the past to help build the NorCal 86CUP series to what it is today, and we look forward to working with these sponsors again this year! This season, we will be running most of our events with NCRC, SpeedSF, and Speed Ventures. These organizations have been hosting safe events for us in the past, and expect nothing different this year. 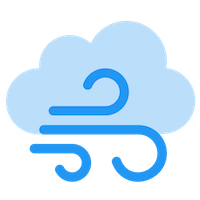 We may also some events with Exclusive Trackdays if it fits in the schedule. They offer private trackdays with limited crowds and lots of track time. The rules listed below are specific to NorCal 86CUP and override any rules that may conflict with the rules published in the official rule set. Mod points are slightly tweaked. 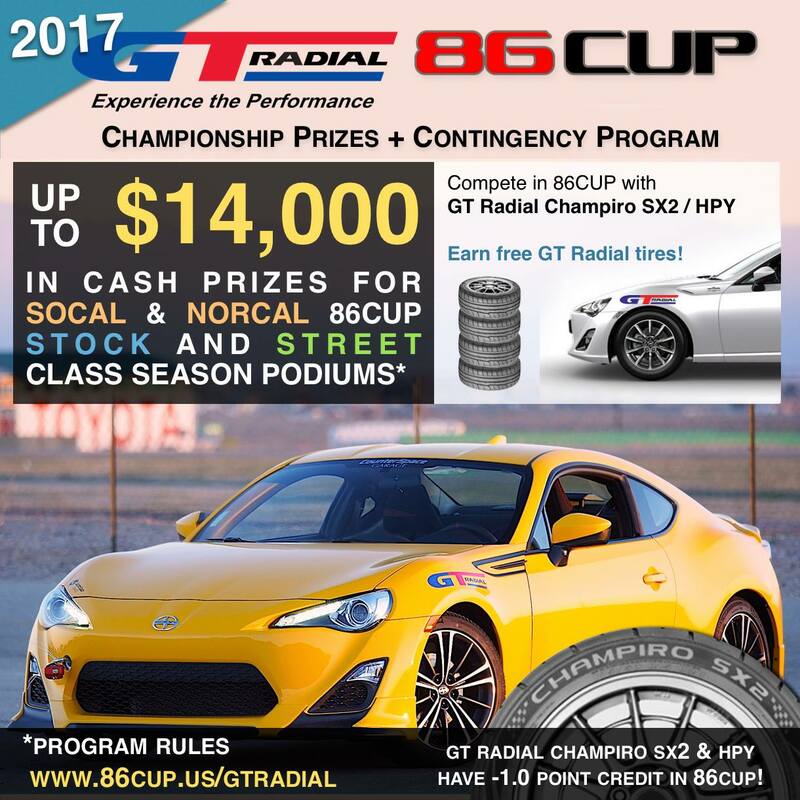 Please see the NorCal 86CUP Class Calculator for details. There is now a Super Mod class for points ranging from 7 to 11. Unlimited class now starts at 11+ points. If a driver modifies his/her car mid-season and moves up or down a class, the points earned in the previous class will be carried over to the new class, with a -25% penalty. Note that drivers participating in the GT Radial Championship Prize challenge cannot change classes. Prior to your first event of the season, you may declare to run in a higher class than your mod points would normally dictate. 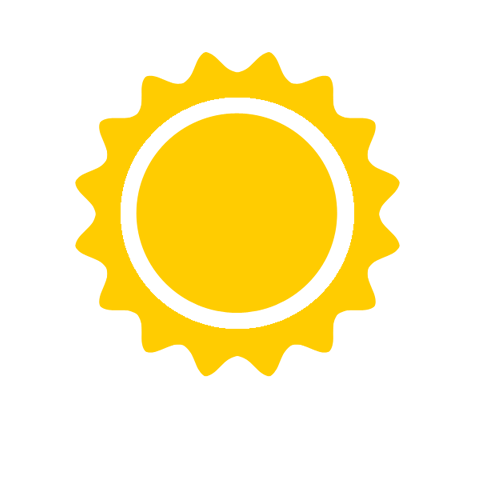 Note that you may be running at a disadvantage in the higher class until you have your planned mods. Scores for best 9 finishes out of 13 events will count toward the championship for each class. The following sponsors & friends have generously contributed their time, expertise, products, and funds to make the NorCal 86CUP time attack series possible. Please refer to them first for all your track car needs! GT Radial is committed to grassroots motorsports support, offering both Championship Prizes and Contingency Programs for 2017. Championship Prize and Contingency participants must register their vehicle in order to be eligible, and, of course, GT Radial product use is required to participate in the program. CounterSpace Garage is the brainchild of a pair of grassroots driving enthusiasts. Having developed winning time-attack cars, CounterSpace Garage has learned the hard way what does and does not work, and aims to share this knowledge with all who are interested. 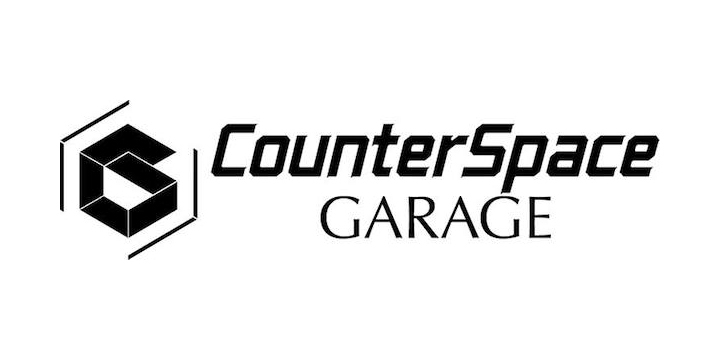 CounterSpace Garage is an advocate of performance backed by results, and CounterSpace Garage sells only the highest quality products torture tested under the harshest conditions available. 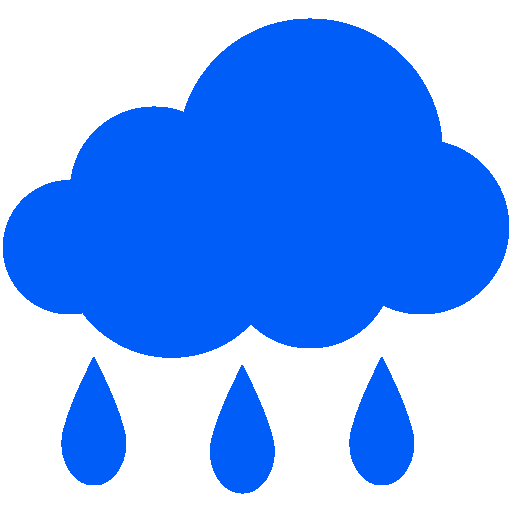 Every product offered by CounterSpace Garage is tried, tested, and proven. BRZ and FR-S performance specialists and track junkies. We only offer top quality products and are available for car setup and high performance driving consultation. Elite Performance mainly focuses on bringing out the performance potential of the vehicles that come through our shop. By doing extensive research, modifying, testing, data analysis, and proper adjustments with precise instruments. 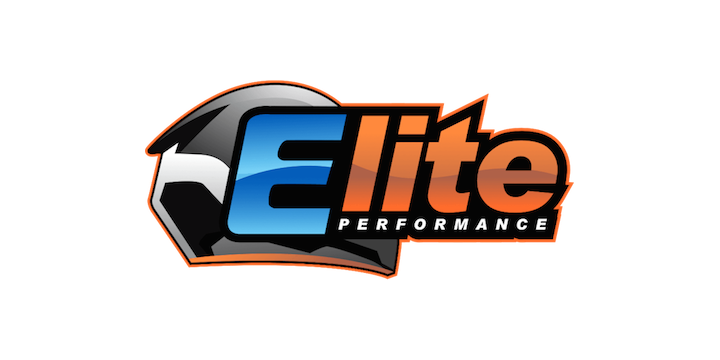 Elite Performance's goal is to strive for the ideal performance and handling of all cars with different suitable characteristics. 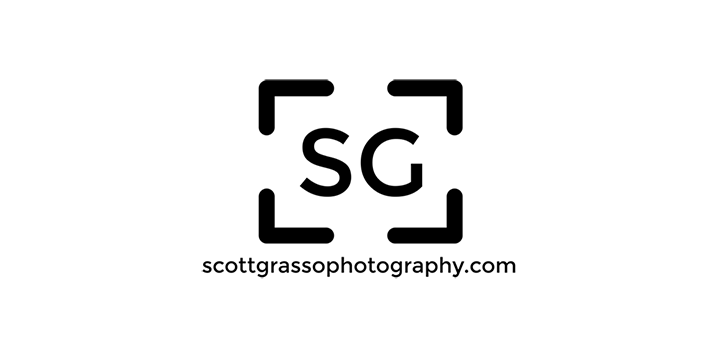 We are a group of driving enthusiasts who primarily drive the Toyota 86, Scion FR-S, and Subaru BRZ sports cars. And we love to DRIVE! Our passion motivates us to get together with other like-minded individuals, and share the fun. 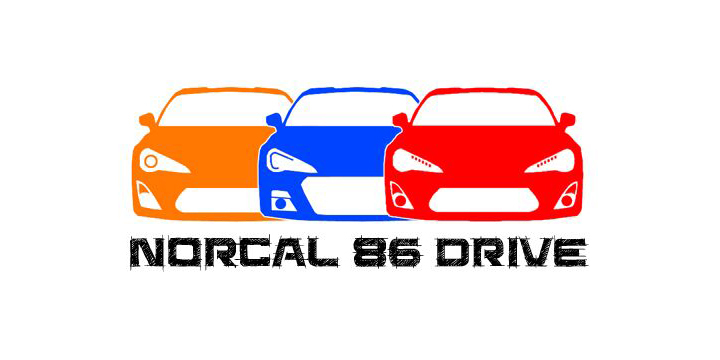 86CUP was created in Southern California by a group of 86 owners and track enthusiasts. Special thanks to SoCal 86CUP for coming up with the rules and point system, and sharing it with us! We usually have several combined events each season where NorCal 86CUP meets SoCal 86CUP at the track for some friendly battles for points! Scott Grasso started out as an 86 owner who loved to take pictures. He came out to some of our events to hang out, and eventually started taking beautiful pictures of our cars on track. He does this for fun and for the benefit of the community. Last year, Scott donated a number of photo albums and prints of our adventures on track as prizes for the end of the season. Please visit his website to see the awesome pictures that he has taken for us: http://scottgrassophotography.com/motorsportsmain. Contact Scott directly for information on purchasing pictures. Thanks, Scott! What mods do I need to start tracking my 86? Contrary to what many people think, you actually don’t need much to begin tracking! For your first few track days, you’ll just need proper track brake pads, and good brake fluid. We can recommend Winmax W5 for brake pads and Motul RBF600/RBF660 or Project Mu G-Four 335 for brake fluid. An oil cooler is also highly recommended, but typically not required for your very first track day. That’s it! You don’t need fancy suspension parts or super sticky tires to come out and have some fun! My car is stock. It’s no good for the track, right? Will braces/tires/wheels/suspension/FI/engine swap mods make me faster on the track? Not necessarily. You will certainly feel a difference from most of these mods, but we actually recommend you save some money and start out with a simple setup, and only start modding after you've had a chance to see what the basic platform can do. That way you only spend money on things that you think need improving, after you've had a chance to experience the car in what we think is an already capable form. Many of us have learned the hard way and actually removed mods from our cars, and have gone faster! Want to join us at the track, but have some questions? Drop us a note at our Facebook group, or visit the SoCal 86CUP website at: http://86cup.us.